The Olympic Green is centerpiece for the 29th Olympic Games, held in China for the very first time. Located in the northern tip of the city, it covers a total area of 1,215 hectares (3000 acres), of which 760 (1878 acres) are wooded areas and greenery. A forest park, a central area including 10 competition venues, the Olympic Village, the Main Press Center (MPC), and the International Broadcasting Center (IBC) are a few of the important buildings and regions for the Olympics that can be found at the Olympic Green. The most spectacular of all is the newly built National Stadium, where the opening and closing ceremonies of the Olympic Games were held. A 60-meter-wide road penetrates the public region from south to north. 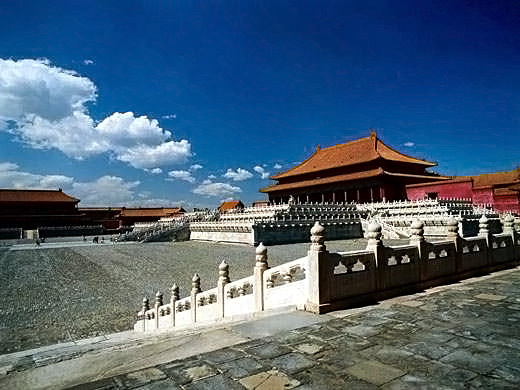 In the center, an 11-meter-wide road is paved in imitation of the axis of the Forbidden City, which embodies the passing of the Chinese traditional culture. 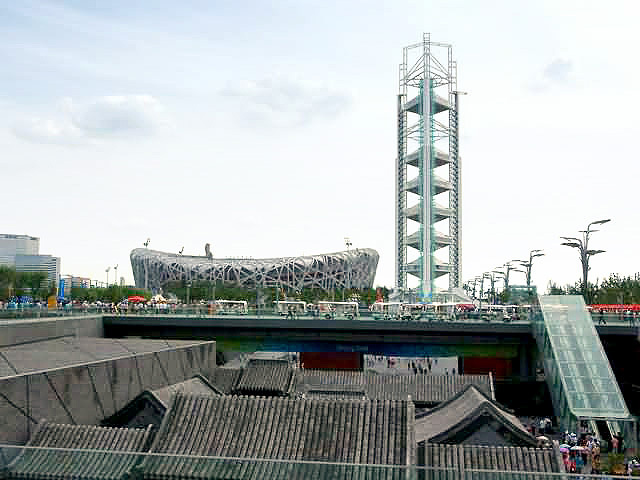 The largest venue at the games in terms of seating capacity was the Beijing National Stadium, also known as the "Bird's Nest", which can held some 91,000 spectators for the opening and closing ceremonies. The Olympic Green was a smashing success, flawlessly hosting the competitions of some 15 Olympic sports as well as serving millions of foreign visitors, tourists, dignitaries, and athletes. 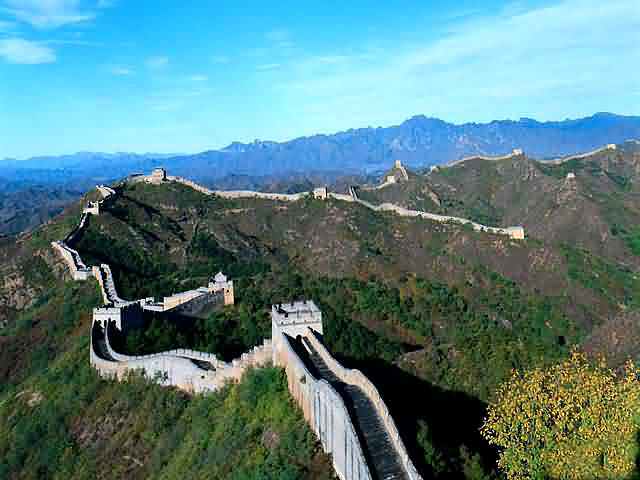 It opened to the public for the first time during the National Holiday in October of 2008. Post-Olympics the Olympic Green has become a center of cultural, recreational, and sporting activities in Beijing. Thousands of people, both Chinese and foreigners, have taken the chance to visit the grand site and flocked to see the sports venues as well as watch a number of special exhibitions and performances. It is expected that the site will continue to attract many visitors and will also serve as an excellent place for China to host more intra-country sporting events in the future. Beijing Olympic Park is a big oxygen bar of the city.